Lotza Party has set the bar again. 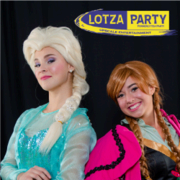 Our Snow Queen and Ice Princess characters are the best in the business. Our costumes are movie grade custom fitted to our models.The Snow Queen and Princess come in character and we have left no stone unturned. 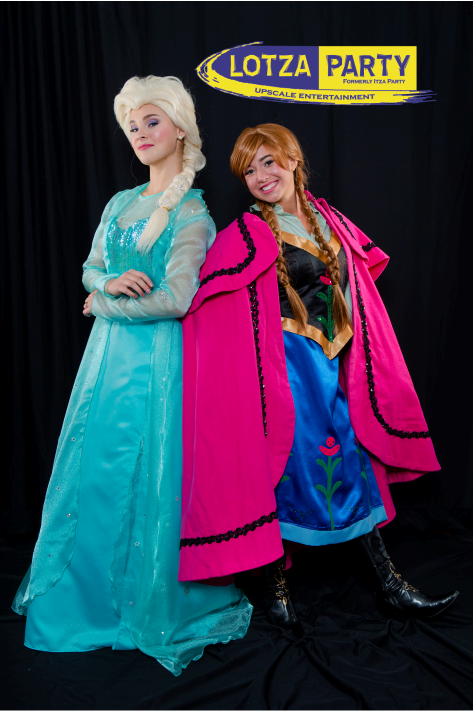 From movie grade costume detail to character mannerisms our cast members are sure to have your guests in awe. The Ice Princesses boots even boast her initial on the back of them! Characters have autograph card for all party guests. Our Snow Queen and Ice Princess come together and their times cannot be split. Additonal time available at $199 per hour. Autograph cards for all the kids!